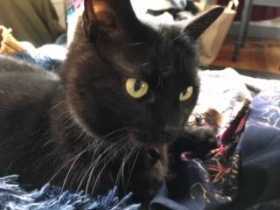 Our young adult black cat went missing from our home. She is all black with a purple collar that doesn't have any tags on it. If you see her please contact me. Thank you! !